My name is Amanda, I’m Welsh, but living in Scotland. I decided to start this blog so I could have my little space on the net where I can share my thoughts and opinions with you. I write book reviews and bookish posts, I will tell you about my baking adventures and anything else that I feel like. I would love to chat and hear your thoughts too. Thanks for sharing this journey with me. May it be an adventure. I’m PR friendly and would love to hear from you. Hi Amanda, great to find you-I love a food blog! Are you in Glasgow? Just outside Glasgow,in Gourock. I just read your Good Food post too. Great to find like minded bloggers. Ahh great, close enough to try out all of Glasgows great restaurants! Absolutely, I wrote a review on Glasgows Kublai Khan restaurant. Glasgow has some fab restaurants. Thank you, #WeekendBlogHop is a great way to find new blogs. Glad you like mine. I will have a look at yours too. I like to find new blogs, and especially wordpress ones. Found you on the #weekendbloghop ! Thank you, can’t beat a good book and a large bar of chocolate!Thanks for stopping by. Thanks and I appreciate that your questions are quick fire ones. They make it simple and fun. 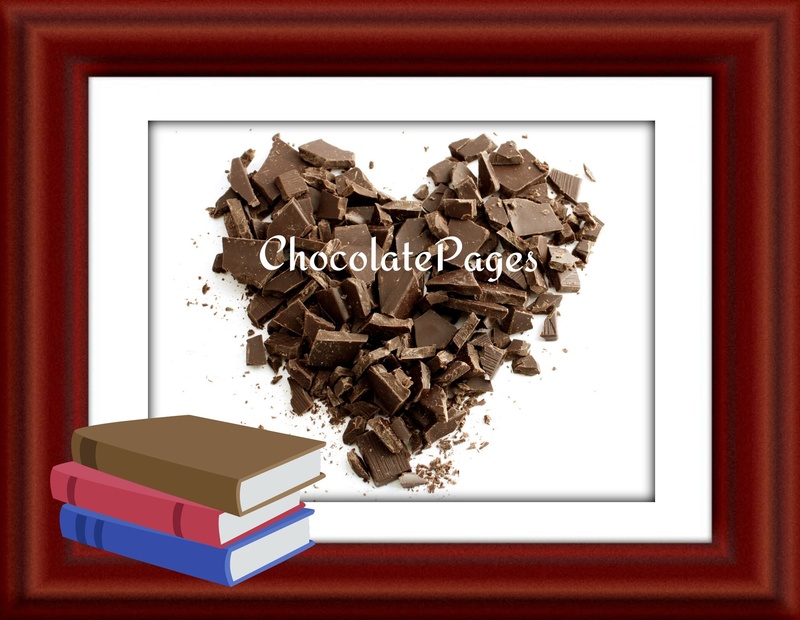 Love the title of your blog, but what would you do if the pages were actually chocolate!! Ah yes, now that would be a challenge!! Read the words, then eat them?? Nice to meet you too. Hello! Visiting over from #weekendbloghop 🙂 Your site design immediately makes me want to eat chocolate LOL – you are doing something right! Thank you, this is a perfect outlet for my chocolate and book love. Hi Amanda, I’m a little late viewing blogs over at the weekend blog hop. For some reason, I was attracted to yours; mmmh perhaps it was the chocolate. Looking forward to reading more of your posts after I make myself a cup of hot chocolate. Hi, nice to have you over. I hope you enjoyed a delicious cup of hot chocolate while reading. Did somebody say Chocolate AND Books? Now that’s my kind of blog. Love it!